We went to the CWCCA Nationals specialtiy show in Ft. Mitchell, KY. We left El Paso on Friday 4/10 after work. We drove to Odessa and stayed with Laurie for the night and had a nice visits. The dogs behaved and made me proud. We spent Saturday driving across Texas. It was a lovely drive with lots of wild flowers blooming and nice weather. We made it almost to Memphis, TN and left early the next morning for the final drive to Keel Mtn. I was so glad to get to spend time with Leslie and Kathy. Except for the $1000 gas bill it was a wonderful trip. Leslie and Kathy and I had a great time together. The nationals report, Mr. fancy Pants PJ did very well. He was Runner up Brindle dog in the Megan, there were 17 champions in his class. It was the largest dog class. I showed him that day. 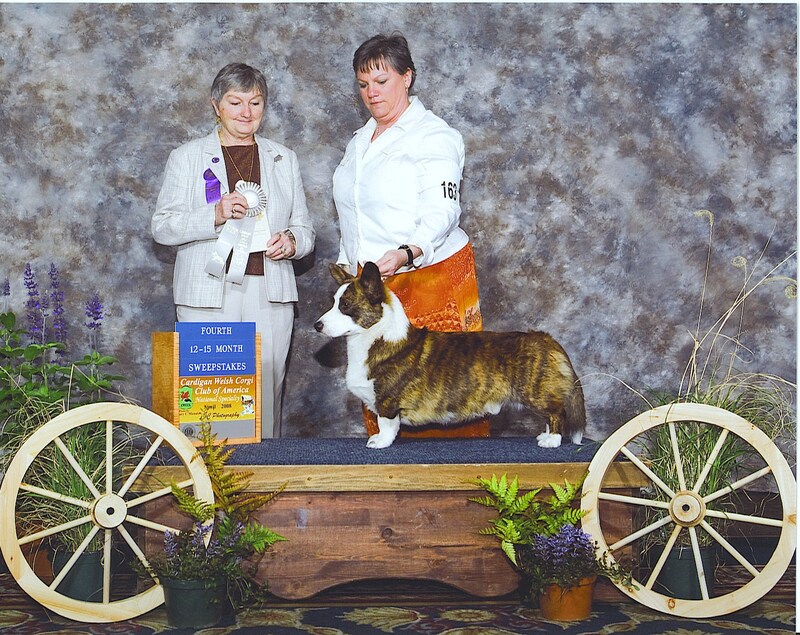 Kathy showed him the next day and he was 4th in his sweeps class. His litter brother won the class and later in the regular classes was awarded Winner’s Dog. Once we got to the Best of Breed class PJ made the 1st 3 cuts. We were very proud of him. Henry left without a ribbon but he looked good and showed well and as always was a fun dog to have around.